Do you want to treat your employees to a holiday party but you don’t have the time or money? Let us take the stress and hassle out of planning your office holiday party. We will provide the excellent experience with live entertainment and delicious dinner. Just sit back and relax! Put a little jingle in your mingle and join us at Gateway Center for a holiday party open to you and your co-workers! 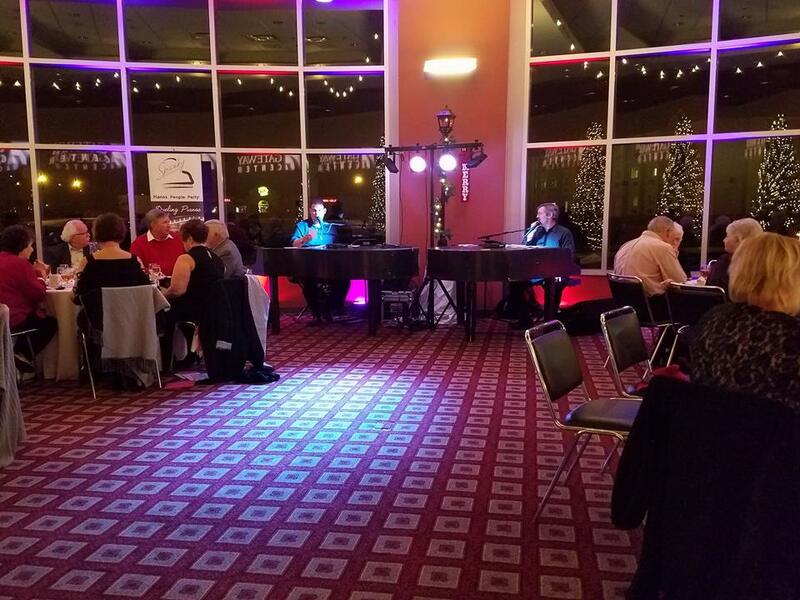 The evening will be full to tasty food, holiday drinks, and live entertainment from Spanky Entertainment Dueling Pianos. Gather your co-workers, friends, and family and head to Gateway Center on Thursday, December 13th, 2018 from 5:30pm until 10:00pm for a festive night out! Tickets are $35 plus fees, including a delicious meal, 2 drink tickets, and a chance to win some amazing door prizes. Call 618-345-8998 extension 0 with any questions. Tickets can be purchased at Gateway Center in person or by calling 618-345-8998 extension 0, Monday- Friday, 8AM-5PM.